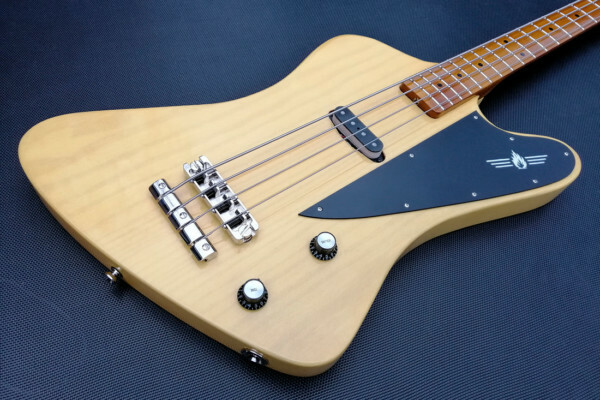 Scottish luthier Alan Cringean of AC Guitars has introduced a singlecut version of his Krell bass, which was unveiled last year. 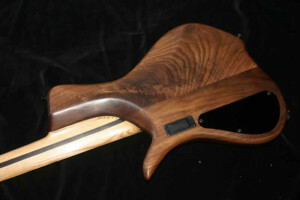 The new model features all of the body contours of its predecessor but replaces the upper horn with a continuous slab to connect more of the neck to the body. 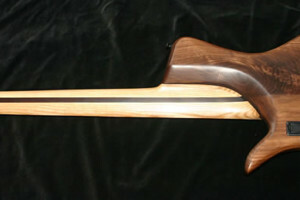 The new design features a flat fingerboard with a carbon-reinforced neck with an asymmetric neck profile. 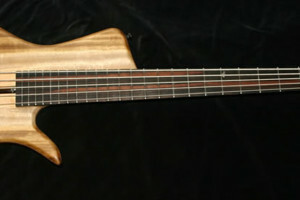 Cringean builds all his basses by hand and each can be created with a variety of woods. 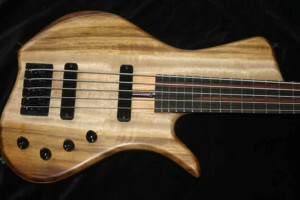 This particular bass has a black walnut body with a myrtle top, a 3-piece wenge/ash neck, and a Macassar ebony fingerboard. Hardware on the Krell Single Cut includes a Hipshot bridge with 18mm spacing, and Gotoh GB350 Resolite tuners. 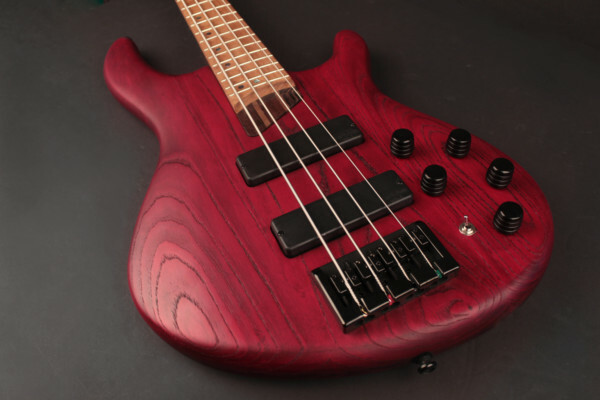 The pickups are a pair of ACG SB Single Coils that are matched with an ACG EQ03 Dual Filter preamp. 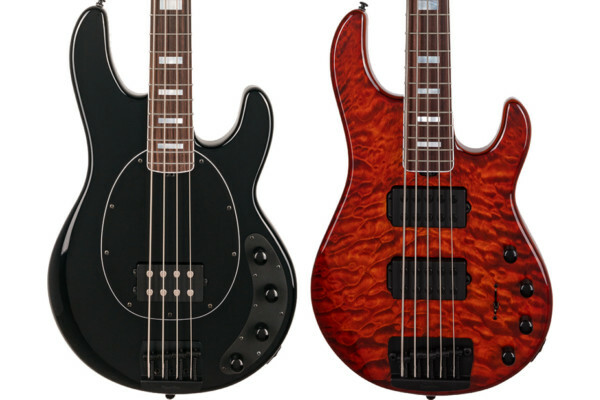 AC Guitars’ The Krell Single Cut is available for order now with prices varying depending on options.